Square Enix has announced that its free-to-play Legacy of Kain-inspired humans vs. vampires slugfest Nosgoth will shut down at the end of next month. It’s the second SE-published game to shut its doors this year before even getting out of beta, following Triad Wars. 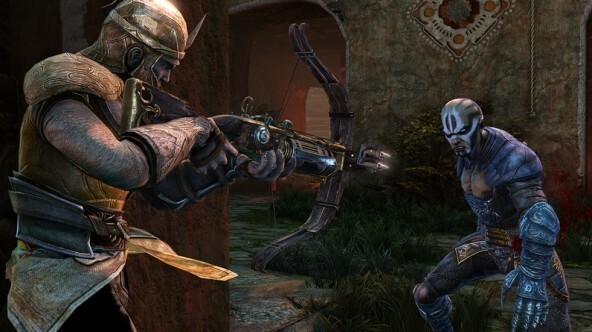 As someone who played a fair bit of Nosgoth, I can’t say I disagree with the reasons given. Player population was severely lacking, even during prime time hours, and it would sometimes take a ridiculously long time to find a match. I think the huge number of levels and the lobby system didn’t do the game any favors in that regard, either, and though I never encountered anything severe, a lot of complaints in the forum thread are about unfixed bugs. There are a couple of other games out there — good, solid games — that might be suffering from the same fate. It’s probably a topic for a future editorial. For now, though, I’ll just mourn the loss of an underrated game that was more fun than I thought it would be when I first heard of its idea of asymmetric gameplay. I’m not a high-level player, so I won’t pretend to know how the balance was between vampires and humans, though the Square Enix and Psyonix team did seem to adjust nicely to the early advantage vampires had. I’ll be sad to see it go, and I wonder what effect this could have on Square Enix’s overall willingness to stick around in the PC F2P gaming space. How predictable, game problem was console unplayable controls, very outdated looks, they not wasting time on dead game like skyforge poor scammers. I may not have played with all of the Vampires or the humans but this game certainly gave me not once some good days and it lighted up my day not once just coming home and trying it out what have changed and when we got hat new Vampiress (and I used her basically every time since I got her from leveling) and now it’s time to say goodbye…..
it will be hard to say goodbye and now with the “Like I’m gonna lose you” song from Jasmine Thompson I guess I’ll say my goodbyes to this game which had Sooo much potential…..
GODDAMMIT THE ONLY ONLINE VAMPIRE GAME AND I HAVE TO SAY GOODBYE TO IT GODDAMMIT WHYYYYYYYYYYYYYYYY!!!!!!!!!!! ….. Well Goodbye then Nosgoth….. ‘Till we meet…. Again…. Oh and 1 more thing please Make a new Legacy of Kain game! One glance at it, and it was enough to never bother with it again, definitely non-missable material. Told people since this was announced it would fail because instead of making a fully fleshed out game using the rich Legacy of Kain IP, they turn around and make a half assed 5v5 game. It was never going to hold a large enough audience to sustain itself when boxing itself in to such a narrow corner of the market. Played it and though it wasn’t bad it had 0 hooking potential and absolutely no reason for me to invest anything into it. Poor idea, in this harsh f2p environment you really have to come good to stay afloat. Lmfao. High system requirements = 8gb of ram. a Nvidia 260, and 2.5 ghz quad core. You sir must be playing on a literal potato. What are you running dude a Gameboy??? Buy a new Computer dude haha… this game would run on a patato. Get a Job get some money and buy a real Computer. I could play it fine with some effects on on a dual core 3.1ghz, 4gb ram and a 2gb ddr3 gfx. My PC is old, but it runs most new games “somehow” and Windows 10 x64 runs better than every other OS I had, you must have trouble running Windows XP. I’m surprised. This game is not my cup of tea, but i had the idea that it was kinda popular. Well R.I.P. HAHAHA AHAHAH *points and laughs* It was horrible in CB. Horrible in OB, and just grabbed cash to any moron thinking it was a good game. This needs to happen to so many other games now. Starting with BDO. The game was OK, it’s probably you that’s horrible. U do know bdo is b2p right?